A few months ago I read an excellent book by Phil Simon entitled the Age of the Platform. This is a must read for any strategist in the technology sector. Platforms are, without question, the most successful business model of the 21st century. And the current market valuations of companies such as Apple, Google, Facebook and Amazon.com provide excellent proof points. Platforms enable extraordinary economics not possible with traditional business models, because they enable not just one company but an entire community to create value and generate revenues from their systems. 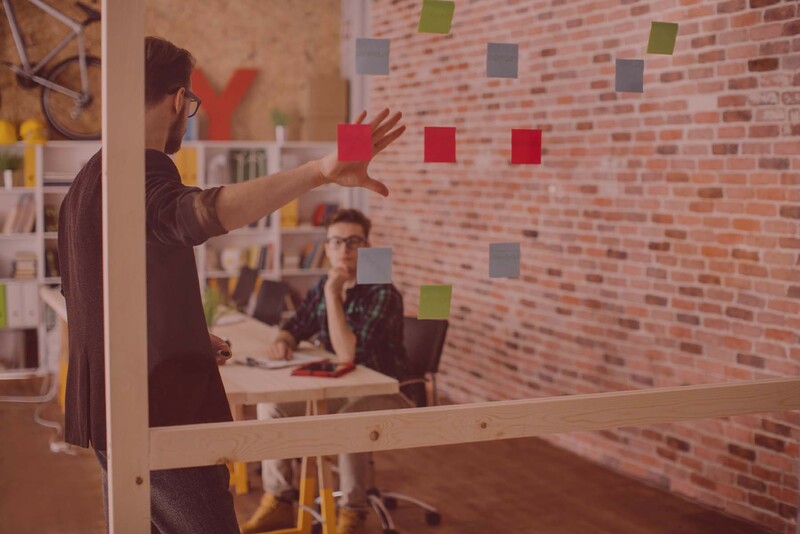 In this post I will review strategies of how the four leading platform providers have extended their business models beyond their four walls to include an ecosystem of business partners. To techies, the best known Amazon platform services are the company’s cloud computing services. Amazon Web Services (AWS) include Elastic Compute Cloud (EC2), Simple Storage Service (S3), Simple Queue Service, Simple Email Service and SimpleDB. AWS has been most popular amongst startups. Using AWS enables these venture-backed firms to focus on their true differentiation – the applications – as opposed to setting up data center infrastructure. 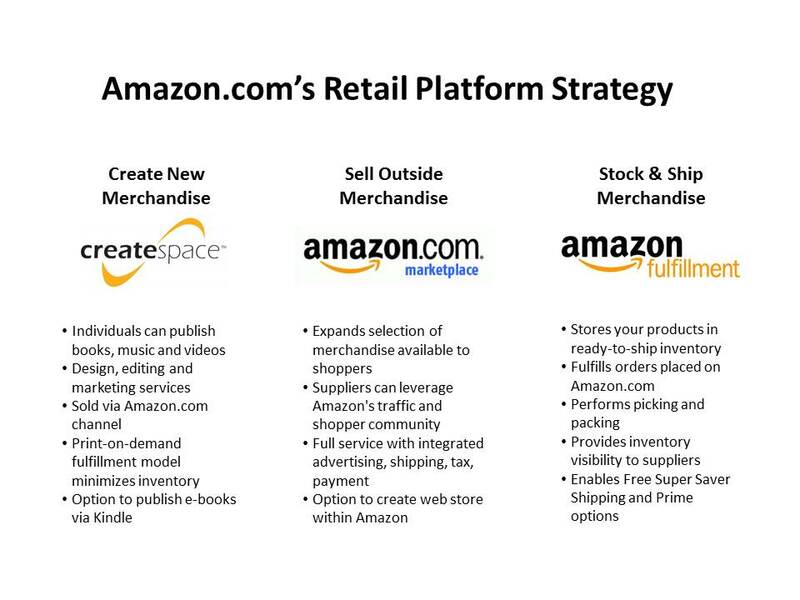 But AWS was not the beginning of Amazon’s platform strategy. In fact, its strategy extends well beyond computing services into the retailer’s core operations. Since its early days Amazon has offered the ability for third party suppliers and retailers to market their merchandise on its site. For example, Amazon Marketplace allows other retailers to sell their own products through Amazon’s sites. The advantage to the other retailers is to gain access to Amazon’s highly visited site and be well positioned in its search results. Another model offered by Amazon is the aStore. The aStore is almost the opposite of the Marketplace model. With aStore you can offer Amazon.com merchandise (versus your own) on your own external web site (versus Amazon’s). Perhaps, the most interesting aspect of Amazon’s platform is the tools it offers individuals to create new products for sale on its site. Amazon allows new authors to self-publish books, music and movies via its CreateSpace and Kindle offerings. The result is that Amazon is not only allowing companies to build new software applications on their platform, but also to create new content such as books, music and movies. Amazon’s relationship as the exclusive provider of payment processing services for Kickstarter extends the new product development model into games, art and even fashion. 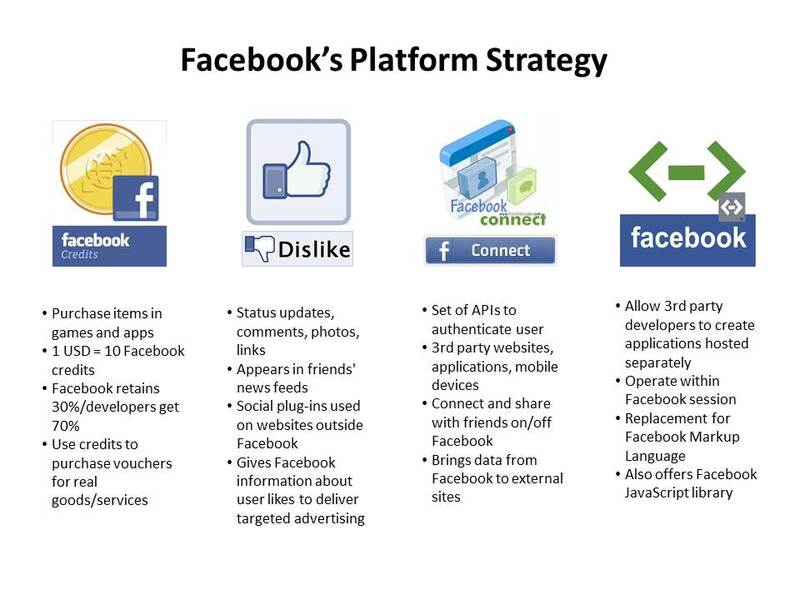 Facebook’s platform strategy is very comprehensive although I would argue it is not as broad as Amazon’s model due to the social network’s focus on technology products. Facebook has been highly successful in cultivating a community of developers who want to build applications on its platform. Entire companies have been launched simply by using Facebook’s APIs to develop applications for the platform. Zynga, owner of FarmVille and Words with Friends, is an example. Facebook’s Graph API allows third party applications to access it’s social graph of people, photos, events and their relationships. Facebook offers programming languages such as iFrame, Facebook Java Script and the original Facebook Markup Language (FBML). All of these languages are designed to allow third party developers to create separate applications that can be accessed from within a Facebook session. But Facebook’s platform strategy is not limited to APIs and programming languages. Its Connect service allows users to access external websites via their Facebook user credentials. Connect eliminates the need for users to have to create separate user identities and passwords for each different site they visit. Furthermore, Connect enables users to bring their basic profile, picture and friends information from Facebook into external sites. The Like button was another Facebook strategy to extend its reach into third party web sites. When a user clicks on the Like button, the associated story will appear in their Facebook News Feed with a link back to the site. Perhaps, most interesting is the work Facebook has done to develop its own currency. The Facebook credits system is a virtual currency that is powering the company’s micropayment strategies. One US dollar is equivalent to 10 Facebook credits. All external game developers are now required to process payments through Facebook Credits which has created a critical mass of users. Both Apple and Google have implemented very successful platform strategies, although I would argue their approaches are not as ambitious as Facebook or Amazon. Perhaps, most notable with Apple’s is the company’s AppStore. The key to the AppStore is the iOS Software Development Kit (SDK), which allows third parties to develop apps for download onto its Mac, iPhone or iPad platform. Apple keeps 30% of the revenues as a royalty with the app publisher capturing the remaining 70%. To ensure a high level of quality for its platform Apple performs basic reliability testing and an analysis on all third party apps. In fact, new apps must be approved by Apple prior to being listing in its store. More thoughts on the benefits of platform strategies in an upcoming post. In the meantime I would encourage you to check out Phil Simon’s book. Thanks for the kind words and the writeup!